This Mangusta 108 yacht is kept in great condition and features a spacious exterior area including a large shaded dining area on the aft deck along with a jacuzzi or a sunbathing area. 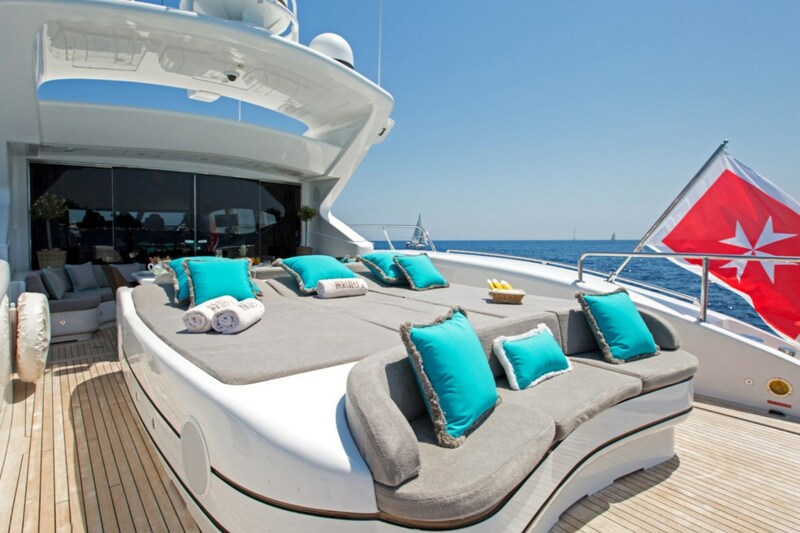 The foredeck boasts a large sunbed complete with a bimini if you like shade and privacy. 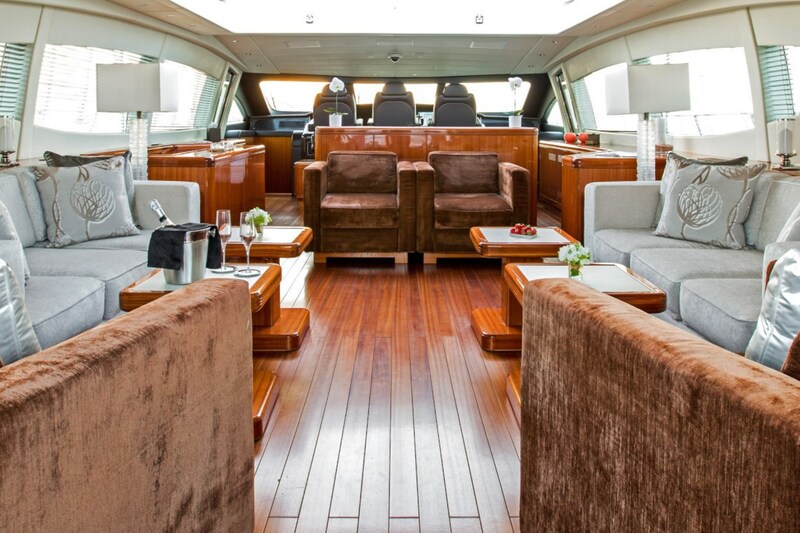 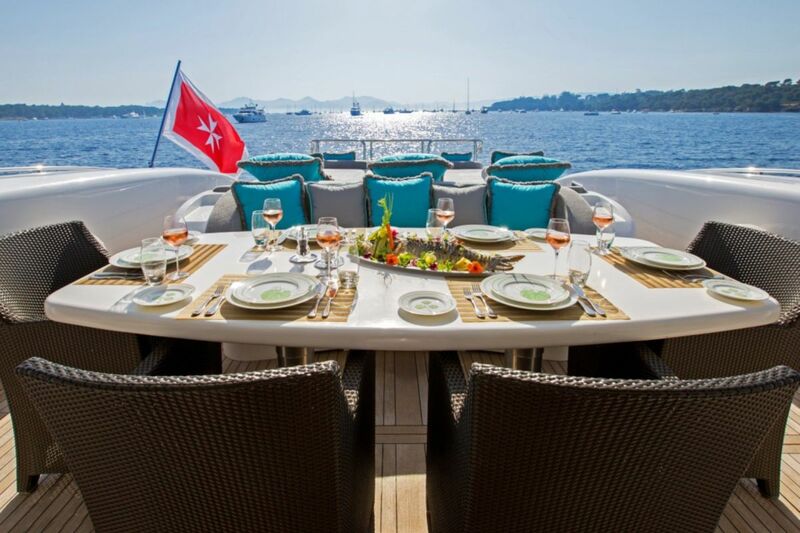 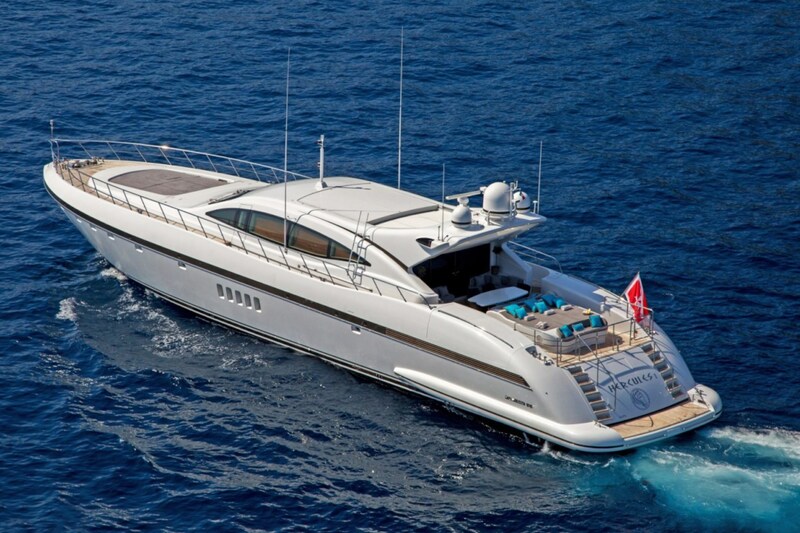 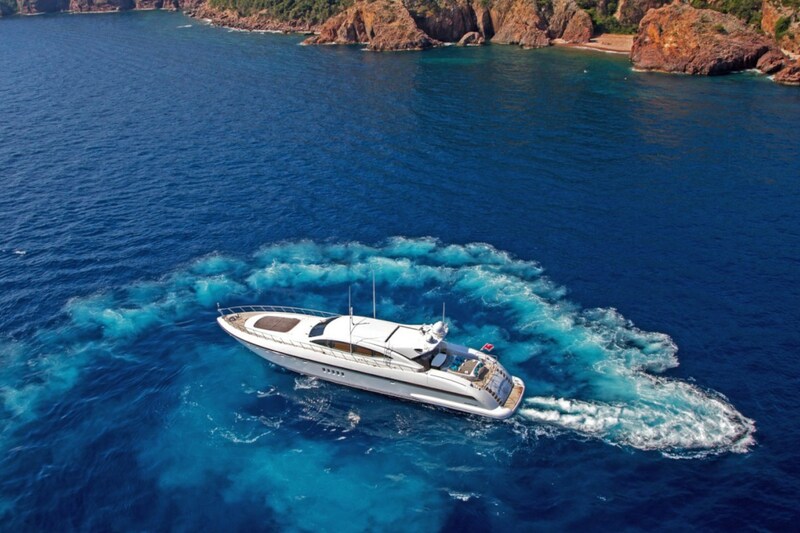 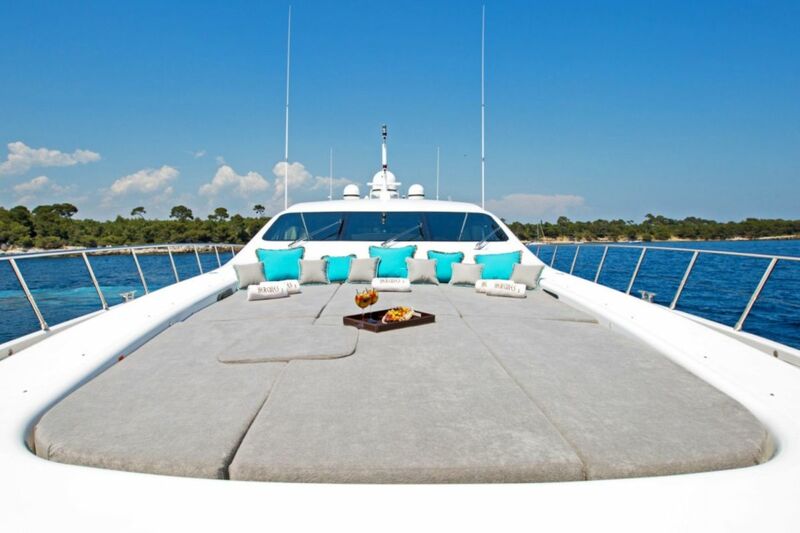 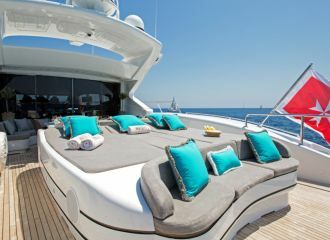 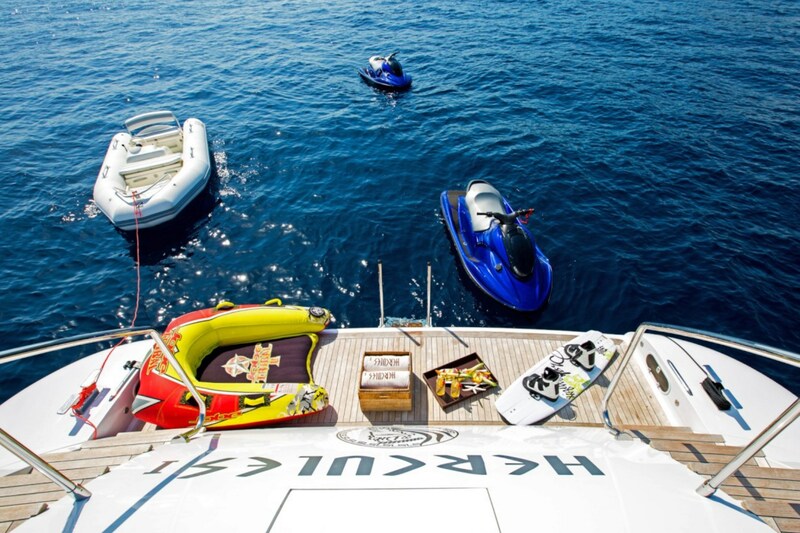 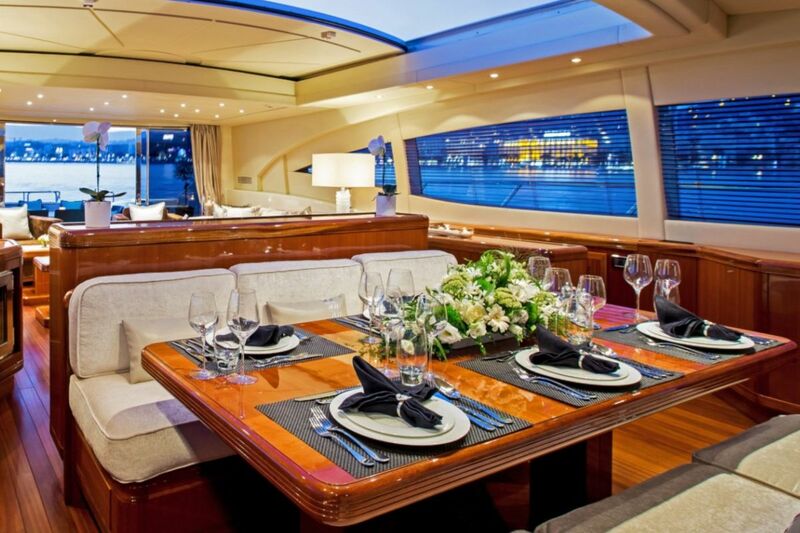 This Mangusta 108 yacht offers accommodation for up to 8 guests in 4 well-appointed cabins: 3 double and 1 twin. 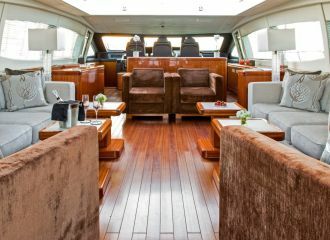 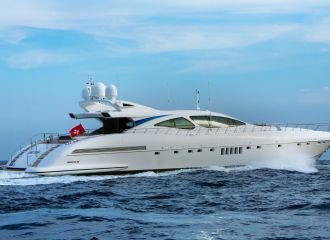 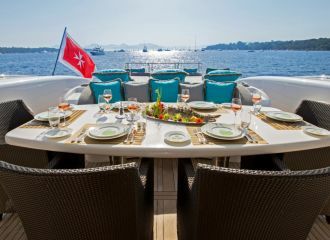 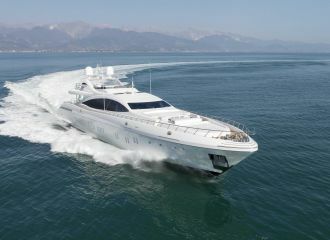 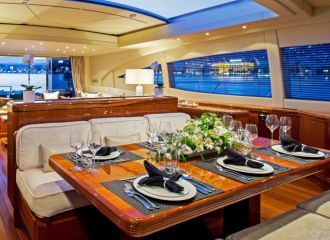 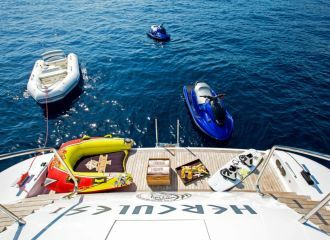 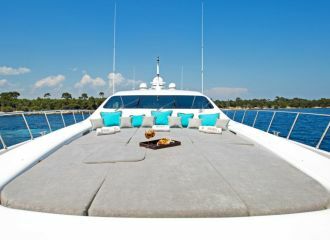 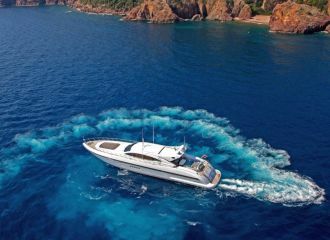 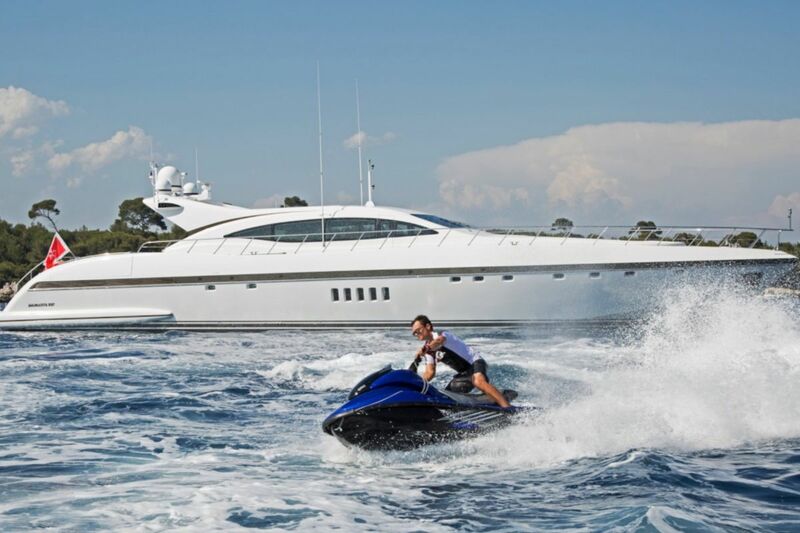 Based on the French Riviera, this Mangusta 108 yacht is ideal for a yacht charter starting in Cannes, St Tropez or Monaco. 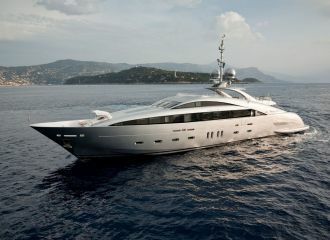 total 10800	€ Excluding VAT and APA ?